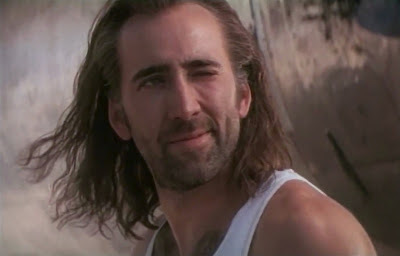 The high concept of Con Air plays like a perfect card of Bruckheimer bingo: an unassailable tragic hero, oodles of massive explosions, and a preternaturally calm Nicolas Cage. But there's a lot more going on in this orchestrated mayhem, thanks to a deep bench of character actors and an infinitely quotable script that's dripping with sarcasm. Jake Beal makes a garrulous WWWW debut that touches on everything from sound design to criminal psychology to dueling country music sirens. Don't miss this episode, because we're going to show you that God does exist. Be sure to check out more of Jake's cinematic deep dives on his blog, The Mentaculus!